Where has January gone? Valentine's Day will be here in just a few weeks and we have some wonderful inspiration for you! Twenty-five bloggers will be sharing their ideas for that special holiday on February 3rd through February 7th, so be sure to come back by to see what they have in store for you! But in the meantime...let's get this party started! Hi! 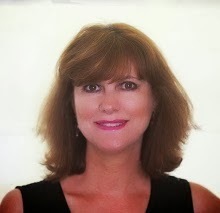 It's Anita with Cedar Hill Farmhouse hosting The Scoop this week. I've been super busy lately with some very exciting things. More on that later, but in the meantime, I have two great chair projects from last week that I thought you might enjoy. The first one is about sprucing up $5 thrift chairs. And the second one is about making slipcovers for my dining room chairs. so here is our guest host for this week! Hi everyone! 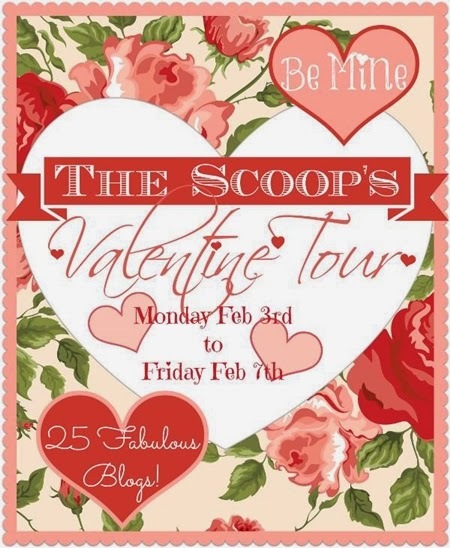 I'm Heather from Setting for Four and I'm so excited to be here guest hosting ‘The Scoop’ this week! I'm a military wife and Mom to two teen boys – our oldest is in Military college and our youngest is in Grade 9. They are both amazing sons and it such an honor to not only be a military wife but also a military Mom! I started my blog 3 years ago, baby steps first then full time in 2013. 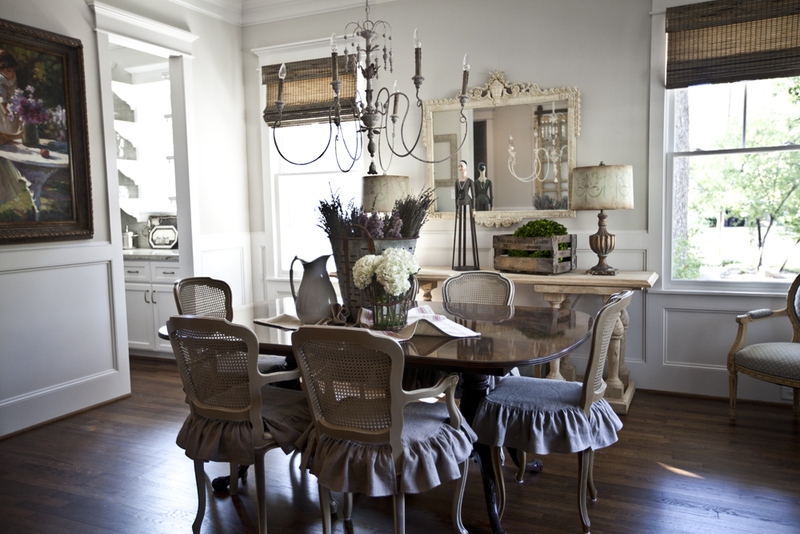 I love to DIY and decorate my home inside and out, and create a stylish and comfortable haven for our family of four! I also started my interior design career last year and love helping others solve their design dilemmas and beautify their homes! As a military family we have moved many, many times and often have to be creative with fitting our furniture in each of our homes. We purchased our lovely 6 year old home two years ago and are in the process of painting it top to bottom, updating the lighting and kitchen and decorating it room by room. How to Make an Adirondack Chair – the Easy Way! Please stop by Setting for Four and say hello!!! I have to admit it was super difficult to pick the features from all of your amazing DIY’s and beautiful projects from last week! I hope that you find my feature picks as inspiring as I do! First up, these No Sew Uphostered Chair Makeover from My Creative Days. 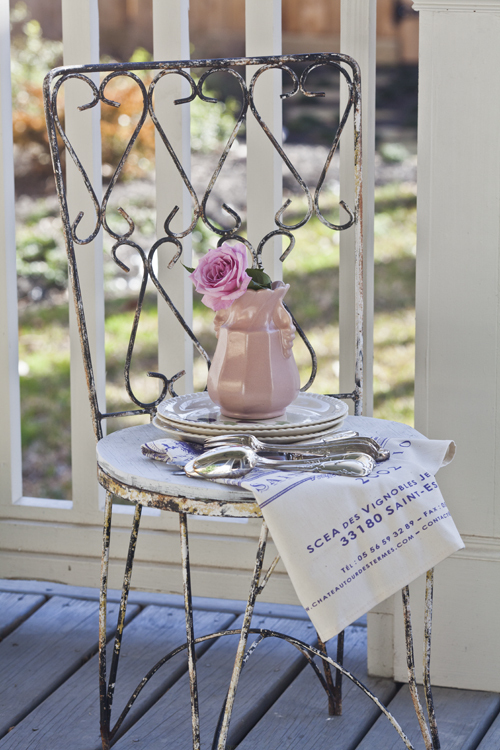 I love the vintage floral fabric that Lindsay used on these estate sale chairs! Paired with the white paint these chairs are simply gorgeous! Rachel at Maison de Pax turned what she referred to as her‘Swiss Chalet’ library bookcases into these trimmed out beauties with DIY Decorative Molding! Check out the step by step tutorial to see how she did it! …and let’s end the features with something sweet! Like these yummy delicious Oreo Cookies and Cream Brownies that Beth shares at The First Year Blog. Make with Cookies and ream Hershey kisses and Oreo Cookies – oh my! It's been so much fun being part of ‘The Scoop’ this week! I adore all of‘The Scoop’ host bloggers: ladies, you are all so creative and inspirational!! …and it's been an honor to select these fun and inspirational features from such talent linked up last week! Thanks so much for joining us this week, Heather! And if you haven't had a chance to check out her blog Setting for Four, please head on over! You are in for a treat! Thank you so much for hosting. Now to check out your co-host and your guest host. Have a good week. Thanks, ladies, for continuing this great thing you do. 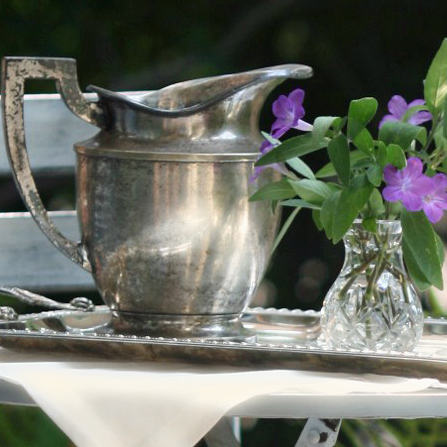 I'm sharing vintage linens today and how we care for them and resell/hoard them. ;) Have a great week! Thank you so much for hosting this wonderful parties, so we all can share your ideas. There are always so many great link ups here. Thanks for hosting and have a great day, Debbie.